Mei Ayakura - Romantic Fall · forums · community | osu! taking you up on that M4M here. "Murp's Beginner" & "Perilous Journey" do not require mods at this time. Your Song folder is just over 10Mb which is too large for songs without a video. You might potentially need to lower the bitrate of the audio down from 192kbps to 128kbps. Alternatively, (and what you probably should do first,) you could use a less weighty image format for your background image. (which is currnetly 1.46mb) Your background image should also be dimensions of either 1920x1080, or 1366x768. Converting the file to a jpeg will make it a much lighter file size. Generally was sometimes a struggle when reading this to determine which instrument was being followed at what time. It seems to be overall that this map follows either the vocals or synth mainly, and then uses the drums to fill in the gaps left by these instruments. Sometimes it works well. Sometimes it's a little clustered and difficult to understand. 05:07:778 (1,2,3,4,1,2,3,4,1,2,3,4,5,1,2,3,4,5,6,1,2,3,4,1,2,3,4,5,1,2,3,1,2,3,4,5,6) - Just an example section where I've noticed the maps manages to jump between three instruments within the space of 5 seconds. 00:14:292 (1) - Quite strong individual hits here. 2 circles stacked around the head of the next slider might represent the sound better. Both the current and suggested configuration play fine tho. 00:16:692 (3,1) - Make these two lines parallel. They are a fraction of degrees off. 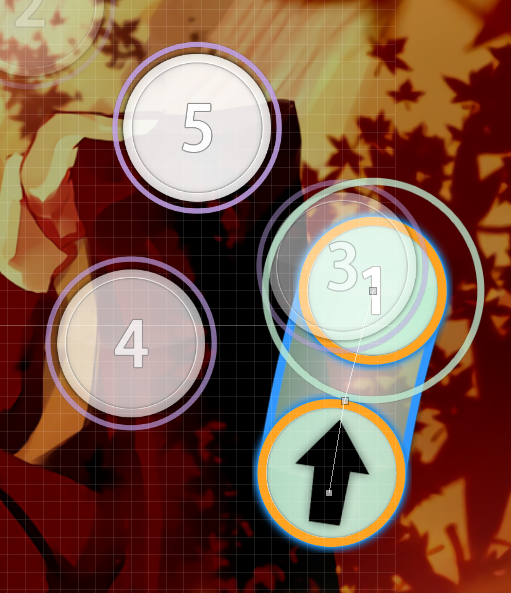 00:17:035 (1,2,3) - The spacing of the circle between the sliders is slightly varied compared to before, where the distance from circle to slider on the snare was greater than the previous distance. https://gyazo.com/0957d16a9308a0a8942e59f447854ae1 something to this effect works fine. 01:22:349 (3,4,5) - Is this spacing intentional? It feels a little strange. (4) could sit just above the tail of the NC slider for a more appropriate spacing, given what's going on in the music here. 01:22:863 (1,2,3,1,2,3) - I like this pattern. Just thought I'd let you know. 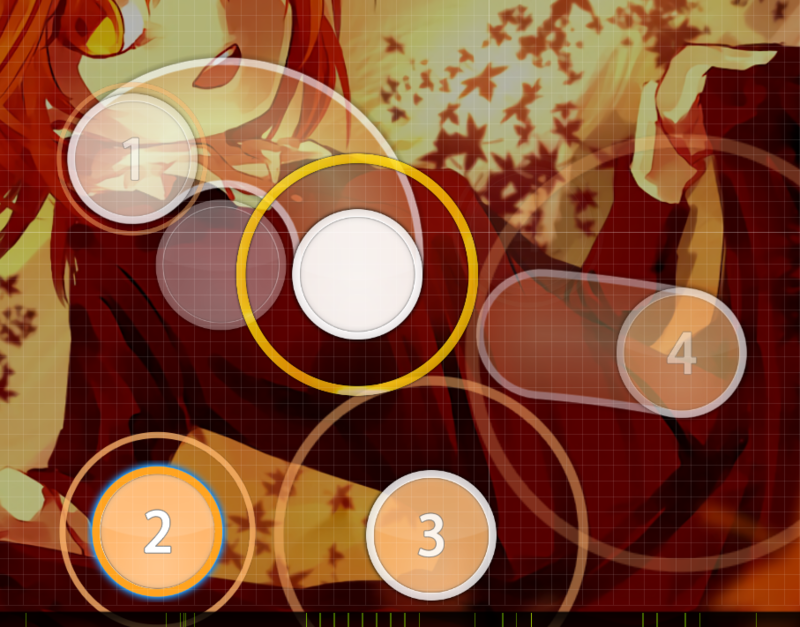 02:02:120 (2,3,4,2,3,2,3,2,3,4) - Starting with 3 circles, then going to circle slider plays a bit strange for the build. Definitely would recommend starting on a circle slider pattern here, it's then your call as to whether you want to progress with SSCC, or SCSC, or potentially be more consistent and select either just circle slider, or three circles. CSSC currently just plays a little strange is all. 02:08:806 (5,6) - Another case of plays a little strange. The 1/2 tick sliders were playing fine for this part of the build. 02:11:549 (1,2,3,4,5,6,1) - (Opinion) a circle in between 2 and 3 on the blue tick, and converting it to extend the stream a little moves the player into the chorus really nicely. 02:13:606 (1) - This Kiai time feels like an interesting hybrid of following the Vocals and the Drums, which worked out fine in the verse, but the drums are a lot stronger in this section. I'd definitely recommend avoiding representing the music with 1/2 tick reverse sliders anywhere in this section. The active sound of that snare hit is just too strong to represent it with something as passive as this reverse slider. 1/2 tick slider then circle as is done well later on works perfectly fine here. 02:39:492 (1,2) - Blanket is slightly off. 03:47:378 (3,4) - Keep them stacked, but decrease the amount of overlap, difficult to see, especially since with the AR, you'll see (5) approaching as well. 05:19:263 (2) - Needs to be stacked on top of the previous slider. Is currently hidden underneath. 05:51:663 -> 06:13:435 (3) - I like this section, but the NC groupings are a little haphazard. Arranging them all as groups of 8 in each combo makes the most sense musically. 00:56:635 (5) - maybe use this tail finish more, i love it lol. 00:56:635 (5) - maybe use this tail finish more, i love it lol. Listen no bully it was just a missclick..
try soft hitfinish 00:31:949 (1) - 00:32:463 (2) - tails 00:32:978 (4) - and head of 00:33:149 (5) - sounds cool just before normal crash. there more places like this btw I really don't like spamming everything with soft-finishes..
01:18:749 (1,2) - maybe unstack it? 03:47:378 (3,4) - unstack it .o. It's not very good idea, maybe better to choose one of them to follow? 3. Your kiai times is too big, s-senpai f-fixed I guess???? 02:08:120 (3,4,5) - cool! ty! 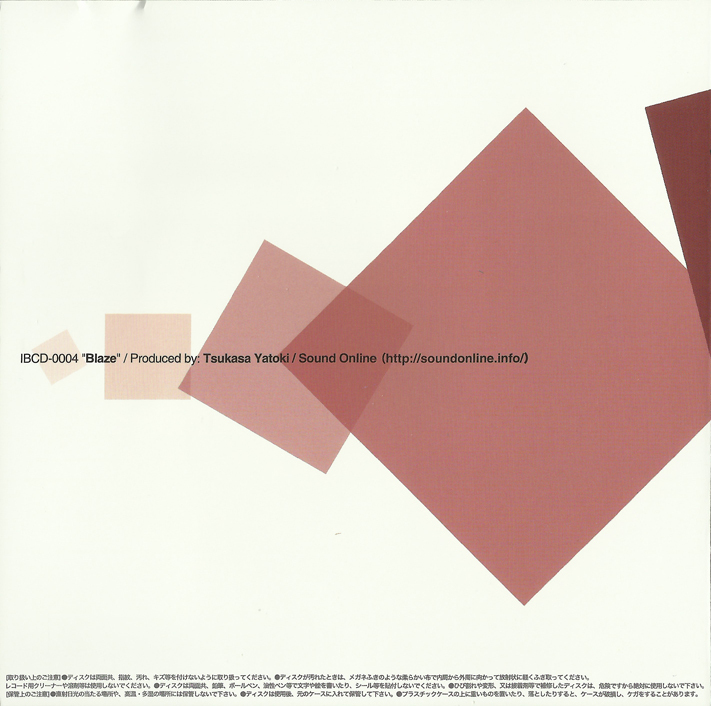 Aaah, when people map touhou songs, they usually use doujin circle as an artist, for example Halozy or Undead Corporation. I guess we need to ask more experienced people for it then. 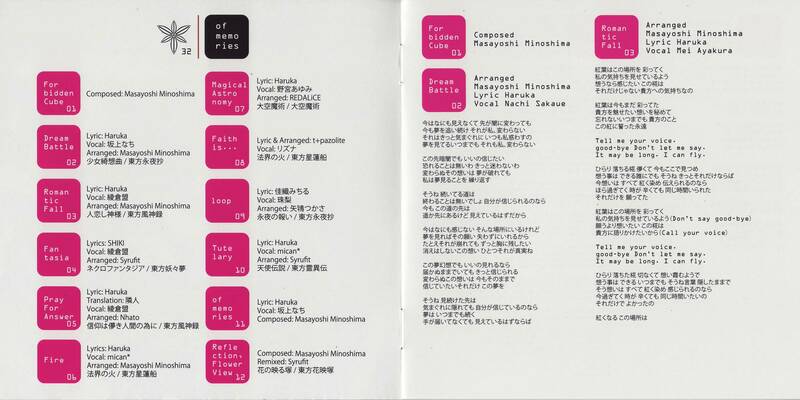 About the artist, I assumedly think you can use multiple alternative artist for touhou music from doujins. So in the case there are three ways to do on the artist: 1. Mei Ayakura 2. Masayoshi Minoshima 3. the circle name (I'm too afraid of typo here) since the ranking criteria contains a rule that you may take either the vocalist or circle, even the composer if any of them are famous/popular in osu!, iirc. 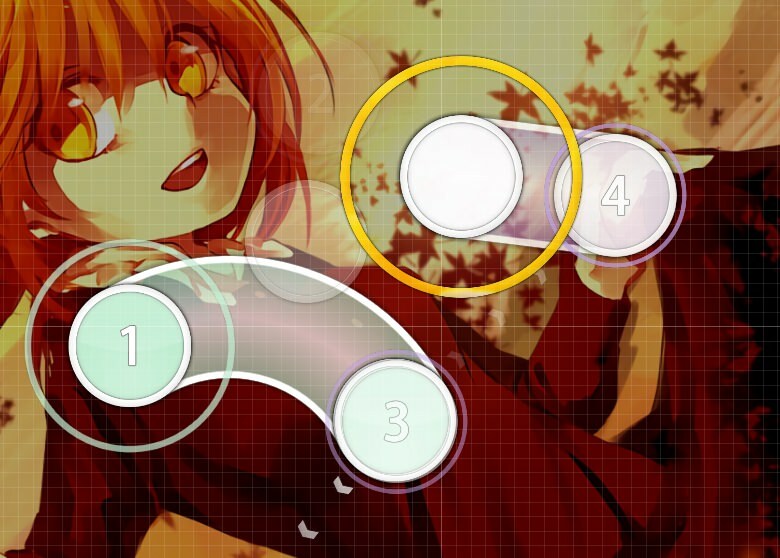 Therefore you don't HAVE to just stick to the circle name for the doujin songs, https://osu.ppy.sh/p/beatmaplist?l=1&r= ... 0&q=touhou there we can follow some of the exception that didn't pick circle names for the artist in order. - It's an instrumental music so the composer is the artist but the circle name, because the composer is well known as Tsukasa in osu! 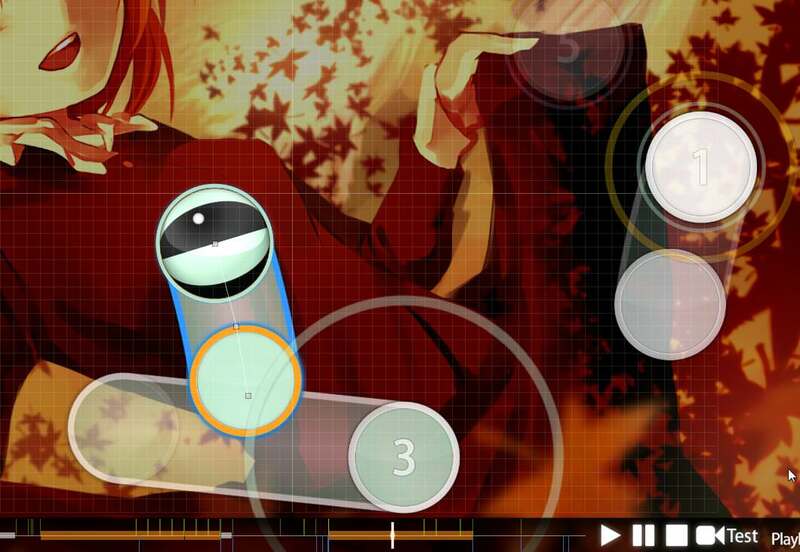 rather than the circle name "Sound Online"
- Yeah, nachi is known as Sakaue Nachi in osu! and the rest is also following the reasons above, so no explanation here. Should be enough, for now. 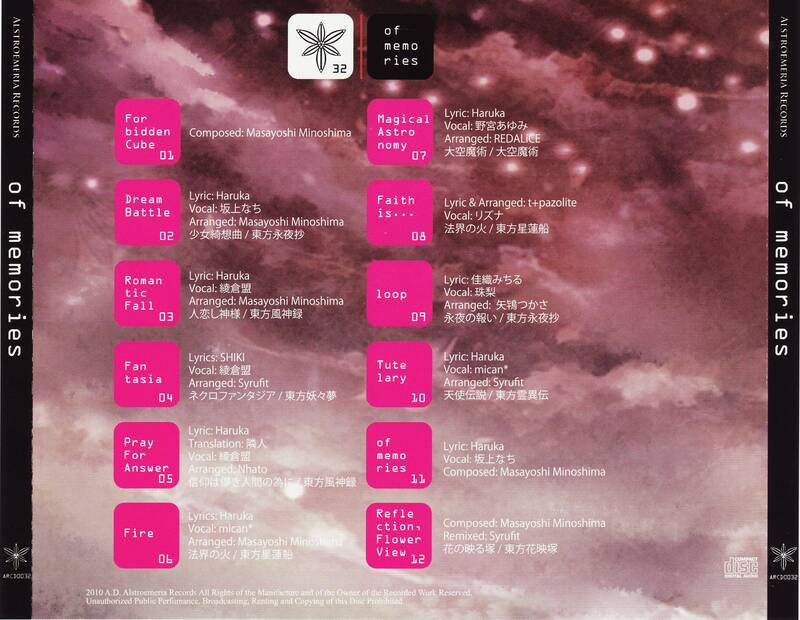 They are all the touhou songs but no circle names as the artist. You probably see whether to use for the artist, Mei Ayakura is a better choice for the artist in this case since she's more like known as the vocalist in osu! rather than the circle, unfortunately. @PandaHero: The guide just says that it's a good site for finding official links, in the case that doesn't count as a reference here due to everything there is written by non official person I suppose. Plus the page doesn't contain a link to the official site. 02:51:663 (5,6) try adding more angle? 00:52:349 (4,5) - dont stack it since a stack was used like this before00:35:549 (3,4) - (well asuming you wont put any beat at the previously mentioned red line) it's all about variety - players will be surely able to read those without problems. 01:21:835 (2,3,4) - doesnt really flow well, maybe switch 3 and 4 emphasis on voice!!! similarly the sudden linear movement on 00:39:835 (5,6,1) - felt a bit out of place with your other movement. how about ctrlg on 00:39:835 (5,6) - ? 01:42:063 (1) - looks out of place since the whole part only uses slight curves/curves/straight sliders and this looks so different. how about a wave? 03:07:092 (1) -03:29:035 - 04:12:920 - 04:18:406 - finish? 06:13:435 (3) - finish sounds unfitting true I guess? 02:02:635 (1,2,3,1,2,3) - using x1.5 spacing when the spacing will revert to around x1.2 on 02:05:378 (1,2,3,4) - like the first few circles 02:01:263 (1,2,3,4) - is kinda questionable? I think going the spacing consistent is a nicer way to raise up the intensity here. 02:11:892 (3,4,5,6) - the hitsound here is too weak imo, you used normal samples to stand the drums out, but you suddenly used the drum whistles on 02:11:892 (3,5) - even though it's the climax in the section and it introduces to the kiai, you should replace the drum whistles with normal sample at least, additionally normal samples on the blue ticks 02:11:978 (4,6) - are more ideal for the sake of playability. consider it on the 2nd part as well. 02:18:920 (5) - remove the clap? as you didn't spam the clap unnecessarily, only one clap is enough for the strong drum in background. and why I'm mentioning the (5) not (6) when talk about the drum, a clap on blue tick sounds more c00l to me lol. also kind of overhitsounding makes triplets in the end of a measure (02:20:292 (7) - like this one) sounds awkwardly empty imo. that aside 02:23:035 (7,8) - is fine as is, the reason is kinda obvious but to explain it's because there're 2 clear drums in the song xD. 02:32:463 (5) - a circle plays better tbh, if you wanted something feeling special, another pause here is also wonderful enough.